The Freshdesk-SurveyMonkey integration makes it even easier to offer world-class customer support. Are your customers satisfied? Would they recommend you to a friend? 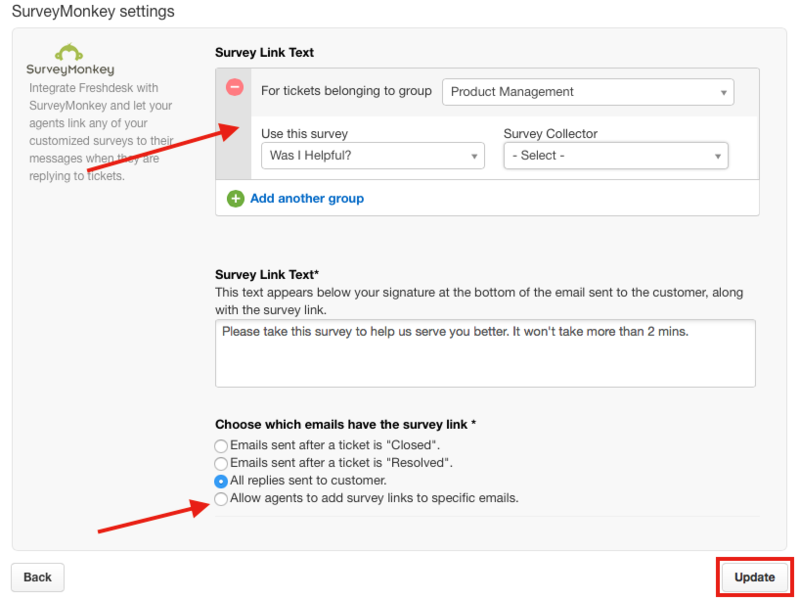 Make sure the answer is yes by adding SurveyMonkey surveys to Freshdesk ticket reply emails. Connect your accounts, then set up rules for when different surveys should be included in automated Freshdesk emails. 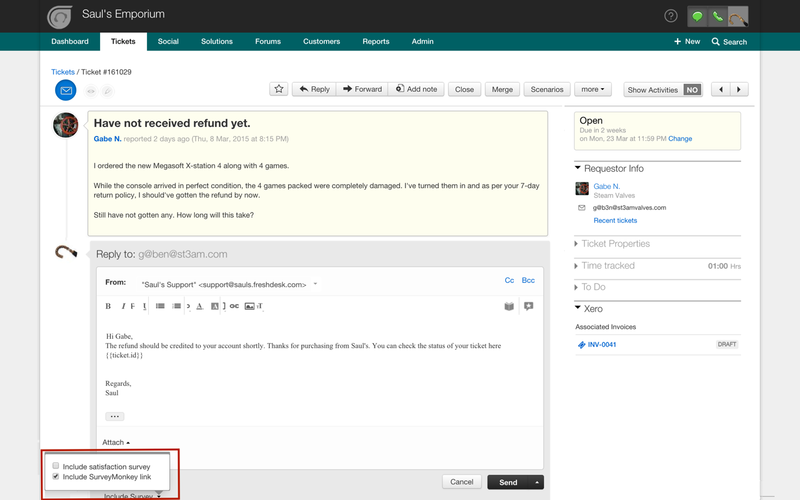 Send feedback surveys when tickets are resolved, or give agents the option to manually include surveys. However you set it up, you’ll learn more about your customers than ever before. Understand customer loyalty with SurveyMonkey’s Net Promoter Score. Send a more in depth feedback questionnaire. Ask customers to fill out market research or feedback surveys that you already use in other channels. Which survey you want to add to a ticket response. You can select whether you want customers to take the survey when a ticket is resolved or closed or with every ticket, or you could even choose which replies you'd like to add the link to. Note: You can use the SurveyMonkey app alongside your existing satisfaction survey. If you would like to only use the SurveyMonkey survey, remember to disable the Freshdesk Satisfaction Survey from Admin Customer Satisfaction settings in your Freshdesk account.